Àpeiron (The Undefined) is a contemplation of time, a concept hard to define with words which elude casual investigation about its very nature. The film unfolds through a subjective audio-visual path, beginning from abstraction, and progressively arrives to a more human perspective of the world, for then returning back to abstraction in a cyclical journey. The cycle is a direct inspiration from an ancient philosopher, Anaximander, whose idea named the film. Àpeiron is a visual storytelling of handcrafted footage, microscopy, astrophotography, naturalistic sequences and subjective points of view that takes the viewer from an imaginary plane to a real one. The result is a motley collage in terms of space-time, connected by a poetic voice over. The infinite dimensions on the topic of time find a convergence within the imagery of poetic language. The sequences don’t bound the viewer to a linear narration. Instead it leaves space to a plentiful of interpretations resulting from a collage of memories, experiences and visual abstractions. 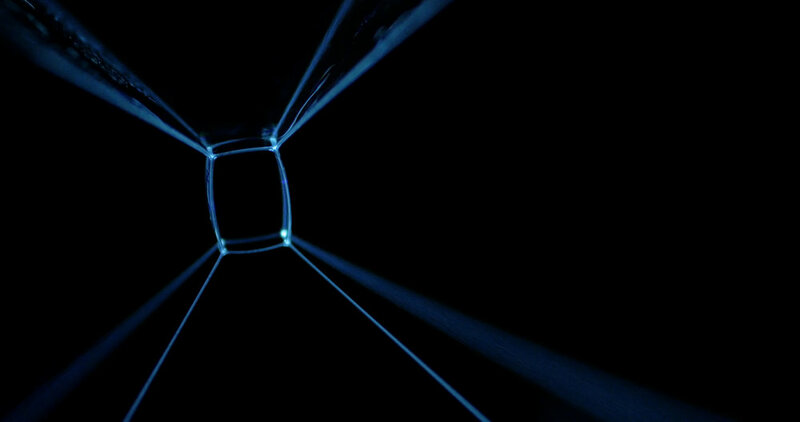 Experimentation on images have begun in 2013 in an artisanal laboratory specifically handcrafted for the purpose. During this period, the screen tests of the most evocative parts of the film have been created. These samples, gathered into some reels, have prompted a conspicuous amount of collaborations including also TV-Series "One Stange Rock" produced by Darren Aronofsky, and feature films "Song to Song" and "Voyage of Time" by Terrence Malick. The astronomic shooting is realized in collaboration with Giorgio Clemente and the Mosciano Sant’Angelo OACL Observatory (Teramo, Italy).